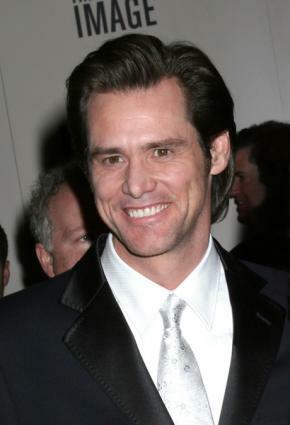 Wearing a Jim Carrey The Mask costume is a sure way to have a lot of fun this Halloween season. The Mask is a movie featuring Jim Carrey as a cowering, wishy-washy guy who happens upon the mysterious Mask of Loki, the Norse god of mischief. Upon wearing the mask he becomes a boisterous, green-faced man in a bright yellow zoot suit who causes his fair share of mischief. When recreating Carrey's character in The Mask, the best option is to go with an outlandish zoot suit ensemble similar to the bright yellow zoot outfit the character wore throughout much of the movie. Since The Mask was released in the mid-90s, putting together an authentic costume may require some creativity. It's doubtful that you will be able to locate an official The Mask costume at local or online retailers. If you have your heart set on portraying the Mask but have no retail options for costumes, you may have to make it yourself. You should be able to easily adapt a gangster costume to fit the part. The first step in recreating Jim Carrey's character from The Mask is the outfit. The original costume included a yellow zoot suit (a style of dress that was worn during the swing era of music), wide brimmed hat (had a black trim on the edge but that is optional), art deco slim tie (it was black with crazy white patterns), black suspenders, patent leather wing tips with white spats, and a white button down shirt. In addition, the character often carried a pocket watch on a long chain. The hat is easy to find at any Halloween store like Spirit Halloween and is usually billed as a pimp hat, though the color may not be available. If you don't find a hat of the correct color, you can always dye it or match your suit to it. Skinny ties can be found at any vintage shop. A gold watch with a long chain can be found in most stores and some costume shops might have them handy as well. A white button down shirt can be found in the men's section of most clothing stores. Black suspenders can be found in any store that sells men's clothing. Most costume stores will have black shoes with white spats. The face covering that Jim Carrey wore in the movie isn't something that is commercially available, but you could use green face paint to simulate the look of the mask. Alternately, the mask he wore was a foam latex appliance, so you can make one of your own if you would rather not rely on makeup. If you examine the mask closely, you can see that it has many features that resemble those of a skeleton, zombie or ghoul. You need to find an unfinished, flesh-toned facial appliance. You can use green grease paint to finish it. Then add powder to seal it and barrier spray to make it last. Ghoul: If you fill in some parts of this mask with cotton balls and liquid latex, you can get a look close to that of the mask worn by the character. Bones: This mask can easily be covered with green to finish off your costume. The Clown: This selection is nearly perfect for your costume; the only modification you'll have to make is the color. You can modify appliances for a custom fit. On some masks, you will want to fill in spots you don't want with cotton and cover with liquid latex. If need be, you can detach a jaw from the rest of the mask or remove a nose. Part of the fun in dressing as Jim Carrey's beloved character is letting your wild side loose. If you want to recreate this character, don't skimp on personality as you wear silly suits and colorful wardrobe accessories. Add to the entertainment of this costume idea by acting the part. Get your groove on and feel free to be as flamboyant and expressive as you wish while dressed as this somewhat outlandish character.